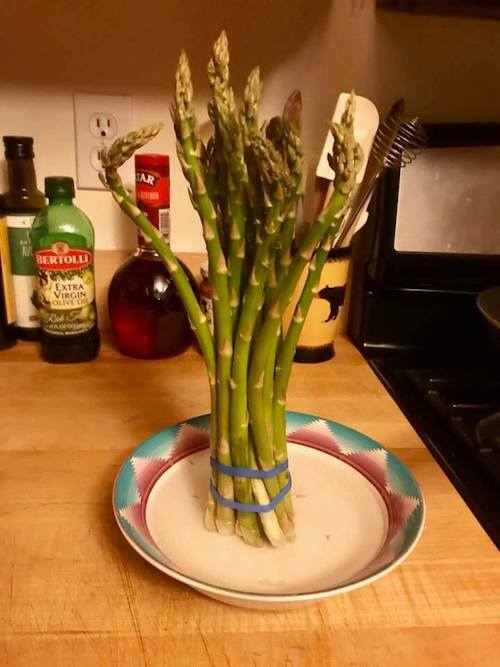 Richard, Thanks for the tip on storing asparagus. Sprouts had a great sale on them and I bought two big bunches. I never thought of storing them like that. I learn something new everyday. There you go. When down with my parents we bought two bunches then had other plans so I sliced off about an inch with a very sharp knife and kept them perfectly fresh for two days until they were into the dinner plan. How to layer, who’s on top? 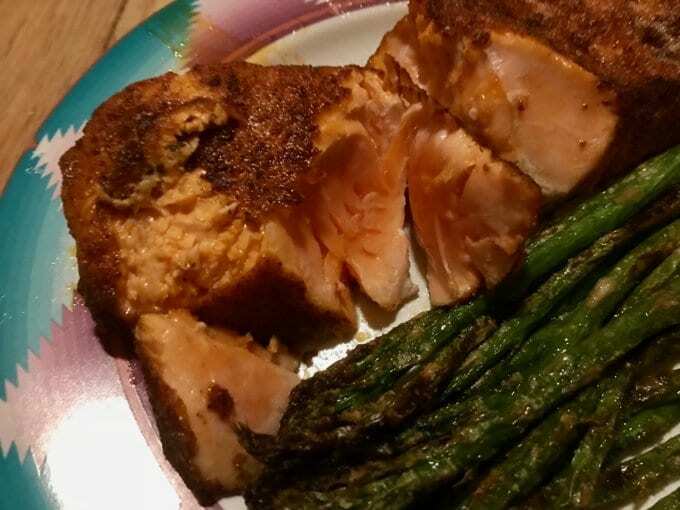 Salmon or asparagus? I did this one side-by-side. 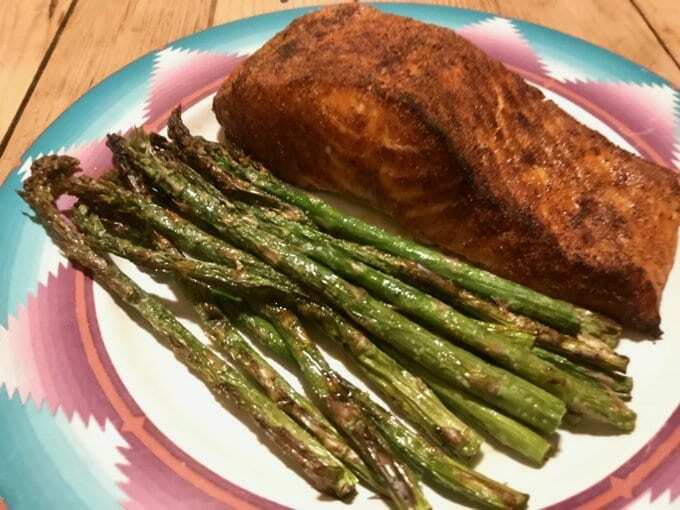 This might be my favorite recipe I have ever come across on the internet. Please bring us more!